Living in the mountains, people seem to have more time to enjoy themselves and one hugely popular activity is golf. Golf is huge in the Blue Ridge Mountains and we can think of no better way to spend an afternoon in the summertime. 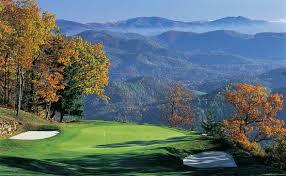 Ashe County is the idea region of the High Country to come play a round of golf. There are two exceptionally nice golf courses in Ashe County, Jefferson Landing and Mountain Aire Golf Course. Jefferson Landing on the New River is the county&rsquo;s newest golf resort. It is located along the scenic New River NC and features a Golf Digest rating of 4.5 stars. It has received accolades, awards and recognition in countless travel, leisure and golf magazines. Jefferson Landing Golf Course was designed by PGA Champion Larry Nelson. In addition to the course and practice facilities, Jefferson Landing is also a master planned community with all types of Ashe County Real Estate for Sale. &nbsp;Located in West Jefferson and nestled in the heart of the Blue Ridge, Mountain Aire is an established, public course offering 18 holes of well-maintained fairways, complimented by the natural, rugged beauty of the Appalachians. Mountain Aire also plays the backdrop for a beautiful golf community called Fairway Ridge. This golf course has been favored by locals for years. They are located just 30 minutes from Boone. In neighboring Alleghany County North Carolina you will find three great courses: The New River country Club in Sparta, High Meadows Golf and Country Club in Roaring Gap NC and the Olde Beau Golf & Country Club in Roaring Gap. These are all great places to play. If you have an interest in Sparta NC Real Estate or other Real Estate in Western North Carolina in Alleghany County or Watauga County give us a call at 336-846-4900. 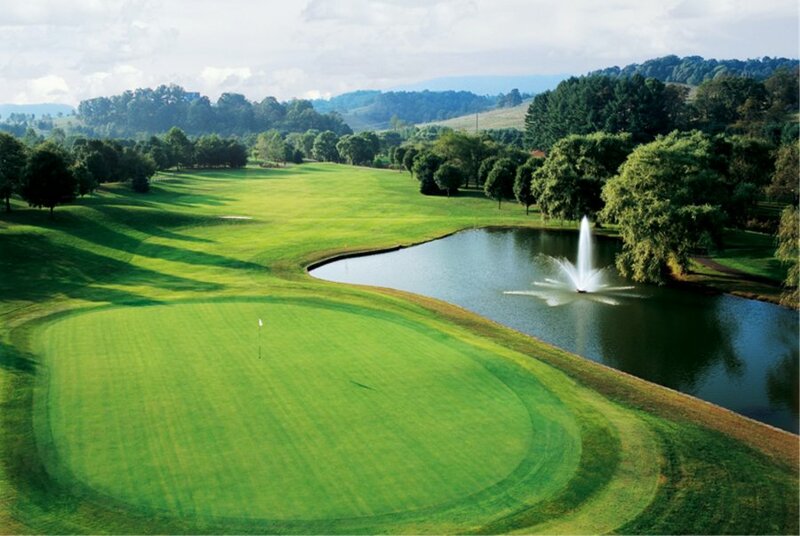 Boone NC features the Boone Golf Club and Willow Valley Golf Course which are only a 30 minute drive away. Also, there is a public driving range, Mountain Driving Range Center, in Boone as well. Only a short drive away you will also find many golf courses near Grandfather Mountain. The Linville Golf Club, Hound Ears Club, Mountain Glen Golf, Beech Mountain Club, Red Tail Mountain, and Sugar Mountain Municipal Golf Club. They are only a 45 minute &nbsp;scenic drive from Ashe County as well. A1 Mountain Realty can help you with any type of&nbsp; Boone Real Estate, Blowing Rock Real Estate, or Banner Elk Real Estate. Contact A1 Mountain Realty for your NC Real Estate needs. Come to our area of the High County and experience the charm of untouched Blue Ridge Mountain beauty. You&rsquo;ll find all types of Real Estate in Western North Carolina, lots and land for sale to create your own private mountain retreat near the New River, Blue Ridge Parkway, or any of these fabulous golf courses listed above. Be sure to check out our website www.a1mountainrealty.com and browse our listings or do a MLS search for any property in the High Country region. While on our site be sure to check out our recently installed webcam, just click on the Downtown West Jefferson Webcam and you&#39;ll be able to see the downtown area and the beautiful towering Mt. Jefferson.